GOJO partnered with Crothall Healthcare and Altavita Village in Riverside, California to conduct a case study on the implementation of GOJO SMARTLINK Service Alerts in a healthcare facility. GOJO provided the SMARTLINK technology during the trial period. A 10-month study was conducted to determine how hand hygiene dispenser data can impact productivity (labor servicing time of hand hygiene dispensers), refill consumable waste and facility staff satisfaction. The study was completed at Altavita’s Continuing Care Retirement Community with a cleaning staff of 34 people. 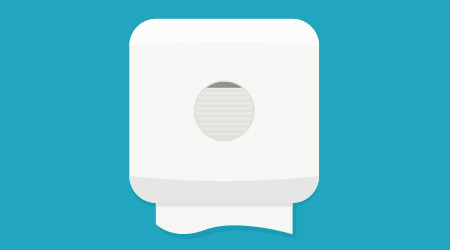 SMARTLINK enabled dispensers were installed throughout the Skilled Nursing unit of the facility, which equated to almost 100 dispensers – a mix of PURELL Hand Sanitizer and PROVON Soap dispensers. A cleaning staff of three was dedicated to servicing the unit. The first step of the study was to validate the accuracy of the system by comparing the data received from the SMARTLINK System to each dispenser’s refill level. All dispensers were initially serviced by the cleaning staff. Each dispenser was opened and checked during the morning shift and when they received complaints from facility staff. The second step of the study was to repurpose workflow. A designated person was assigned daily to manage the consumables and address all of the alerts and alarms. The rest of the cleaning staff was then redirected to focus only on cleaning and to no longer touch the dispensers in the resident rooms and other assigned areas of the facility. Each morning a report was printed with the location and type of refills that required replacement. The staff member responsible for refills saved the time it would have taken to open each dispenser, visually estimate the refill level and walk to an inventory closet to get a refill replace replacement. At the onset of the study, partially filled refills identified before an evening or weekend shift would be replaced to ensure product was available when service staff was limited. As the service team modified workflow, became more confident in the data and learned exactly when to change the refill, the accuracy of refill replacement began to improve. By the end of the study, the Environmental Services (EVS) team had determined the exact product percentage level to replace refills in the facility to ensure product availability, and to provide the lean evening and weekend staff with a report of the refill locations and types that would need changed. This significantly reduced the amount of waste on a monthly basis, and had a positive impact on consumable cost reduction. Before the study, EVS staff would receive occasional complaints about a dispenser outage or dispenser not working properly. After the implementation of this system, the data they received on a daily basis, allowed the EVS staff to pinpoint the exact problem or need of a dispenser and proactively service it to avoid empty or non-working dispensers. This often minimized the amount of time that staff had to change workflow to wash or sanitize. • Dispenser touchpoints were completely eliminated for the cleaning staff and reduced by 88 percent for the individual designated to service dispensers. • The facility was able to reduce service staff in the unit to 2.5 FTE’s. The 0.5 FTE’s labor time savings equated to over 30 hours per week, and allowed EVS to reallocate that time to servicing other areas of the facility. • Initially, the data enabled the reduction of one refill a month. By the end of the study, this facility saw a 14 percent reduction in dispenser refill waste and overall refill spend. • Replacing refills and servicing dispensers at the right time completely eliminated complaints from staff in the unit.